Animal Models for the Study of Human Disease identifies important animal models and assesses the advantages and disadvantages of each model for the study of human disease. 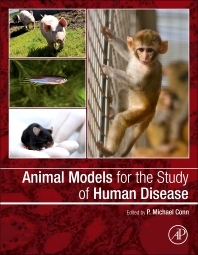 The first section addresses how to locate resources, animal alternatives, animal ethics and related issues, much needed information for researchers across the biological sciences and biomedicine.The next sections of the work offers models for disease-oriented topics, including cardiac and pulmonary diseases, aging, infectious diseases, obesity, diabetes, neurological diseases, joint diseases, visual disorders, cancer, hypertension, genetic diseases, and diseases of abuse. Biomedical and basic science researchers, graduate students and postdocs. Small Versus Large: Size Matters? What is Drug Addiction and why Should we Study it? What can be a Reward?